WASHINGTON D.C., March. 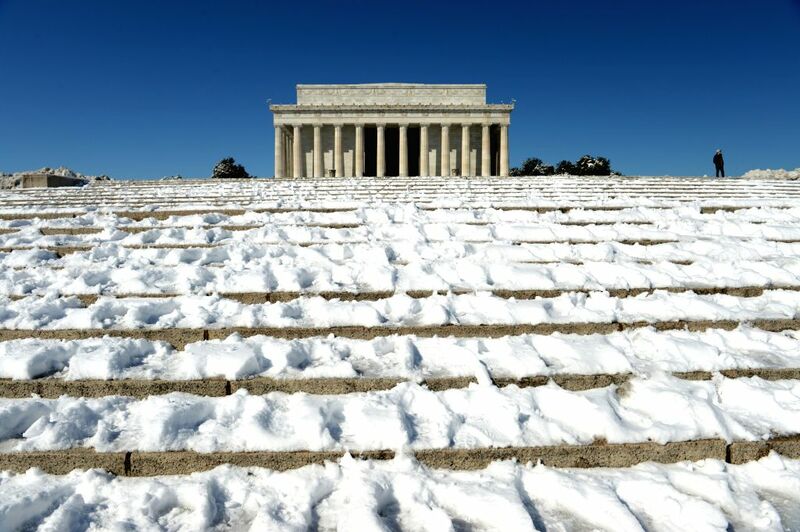 6, 2015 - The Lincoln Memorial is seen after snowfall in Washington D.C., the United States, on March. 6, 2015. 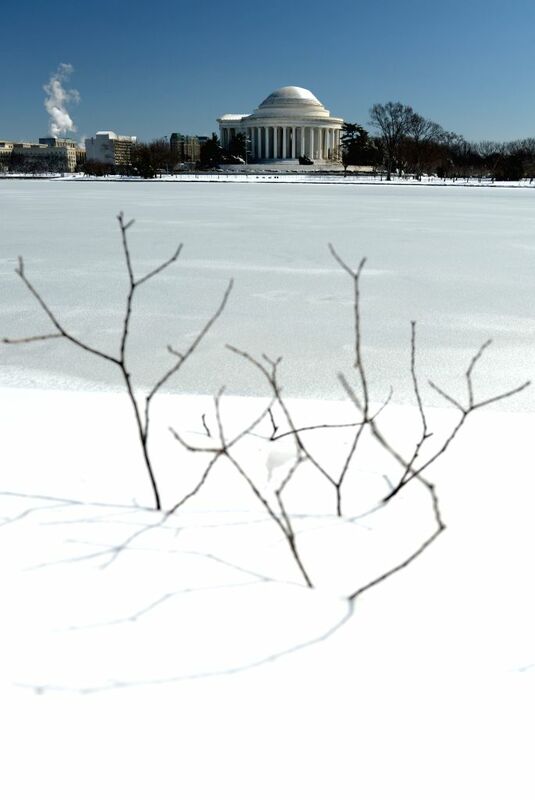 The Jefferson Memorial is seen after snowfall in Washington D.C., the United States, on March. 6, 2015. 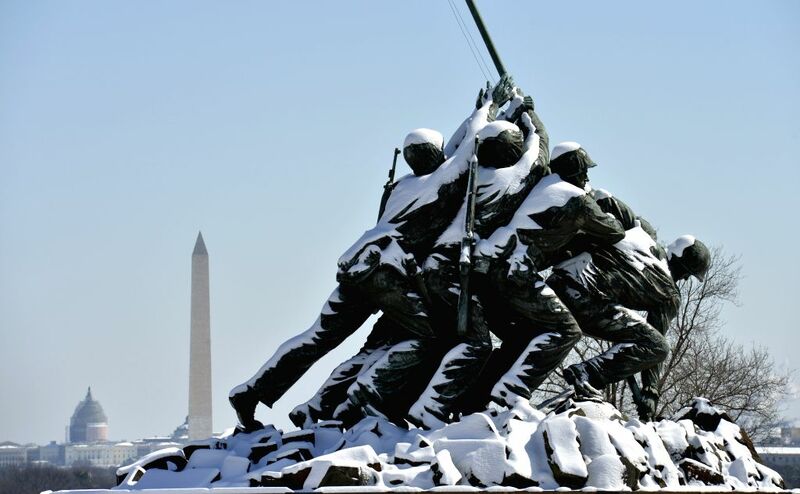 The Marine Corps War Memorial, Washington Monument, and US Capitol building are seen after snowfall in Washington D.C.,the United States, on March. 6, 2015.